“Our traditions in every field – literature, art, music, dance, philosophy, language and architecture – date back to over 5,000 years. We are the inheritors of this tradition and it’s consequently inbuilt in our psyche. Should we then ignore this heritage and follow universal textbooks for all subjects?” asks S. Swaminathan, former professor at IIT Delhi. He addresses third year civil engineering students of Kumaraguru College of Technology at the introductory session to their new elective on Traditional Architecture. After a morning of lectures, the students gathered at the Perur Patteeswaraswamy Temple to understand the modern-day relevance of it’s architecture. Standing on the raised Mandapa, the students looked up to marvel at a design plan that has defied time from 1000 AD. 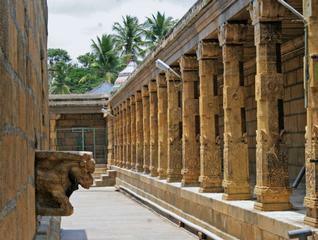 “It is crucial that we systematically codify the technology behind temple architecture and understand the depth behind the shilpa shastras that guided them,” says K.P. Umapathy Acharya, who hails from a family of temple architects. Design goes beyond spirituality and includes civil engineering and architectural elements as well, he observes. Pointing to pillars, each over 4,800 kg in weight, he says, “From Tamil Nadu to Mount Abu and even in the Ajanta Ellora caves, for centuries together, the structure of pillars is the same in that each large pillar has inbuilt smaller pillars.” He believes this is so because it has been inspired by the unchanging philosophical idea that everything macro is comprised of the micro. The Perur temple has much for civil engineering students to learn from says S. Rajendran, from All India Council for Technical Education. To begin with, he points out, the pillars are made up of stones standing one above the other without any binding material. “They hold entirely by self-weight, each connected to the other by its geometrical centre. The result is structure devoid of tension and hence able to hold itself together just through compression,” he explains. When you build this way, you can do so without steel and concrete, he adds. 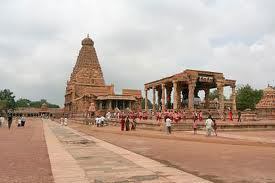 Further, he points out that the temple has no overt drainage system but rather curved protrusions that ease water from the rooftop towards the shortest path to the ground without harming the walls – a system called drippage. “Building this way requires immense planning and imagination,” he says. Our forefathers possessed advanced knowledge about architecture and civil engineering which was diluted by colonization, says Umapathy. “They understood soil testing and foundation building in depth. 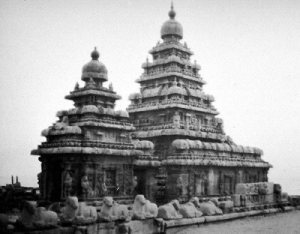 They could build on the seashore as in the Mahabalipuram temples, between river beds as in the Srirangam temple and even on hilltops. But today, we’ve lost their techniques,” he says. “They even practiced earthquake resistant building,” Rajendran adds. …as Apte read more of the Agamas, his respect for the Viswakarma Tradition increased. “Modern engineers must be banned from building temples” he says. 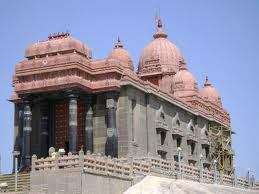 He also adds that till 18th century, the Viswakarmas were involved in secular arcitecture too. To ignore their abundance of knowledge is to ignore a great tradition…. Be the first to comment on "சிற்பக்கலை ஒரு பாரம்பரியமான கலை…!"